How do you keep your information as secure as you can while ALSO making sure that others can access it if/when they need to? First: it matters what vendors you use to store your information. You need to look at the company itself. Do they give an option for two-factor authentication? (Where you receive a text message with a code to access your account, so you not only need to have access to the account password, but also the cell phone number associated with the account.) Do they use encryption? (Where information is encrypted in every stage of server transfer.) Can their employees access your information? (Information should be encrypted, with employees NOT being able to see anything in your account. It comes down to personal comfort level. Comfort in what you DO put online, what information people can easily find, and what might take more effort. For example: clients using the software I license have the option to allow me to see into specific areas that they would like my input, or my help. Or, they can keep me completely out of the loop, and just connect with me if/when they have an issue. The great news? Either option TOTALLY WORKS. I work at whatever your comfort level is. 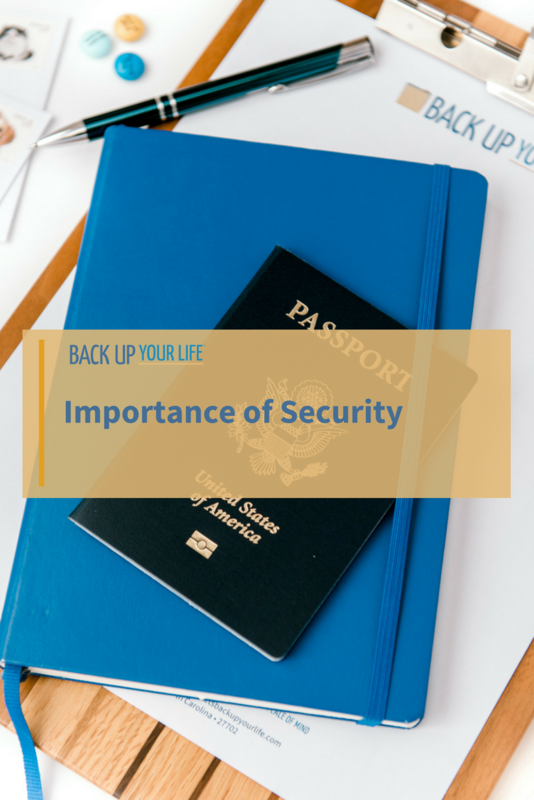 What I think is most important is to have all the information to live somewhere—which might look like someone using information you have online to find the hard copies you have either in your home, or with your trusted advisors. Important thing? They know where to look, and aren’t guessing. You can leave a literal roadmap, or a one stop shop with all of the information that they need. What do you do to protect your information online? Share your comments below! Security is important. Do you use dual factor authentication? Is there encryption? Nothing is 100% secure. Where does your comfort level lie? How can you work with that? A great gift is leaving a roadmap for your loved ones to find the important information that they need.